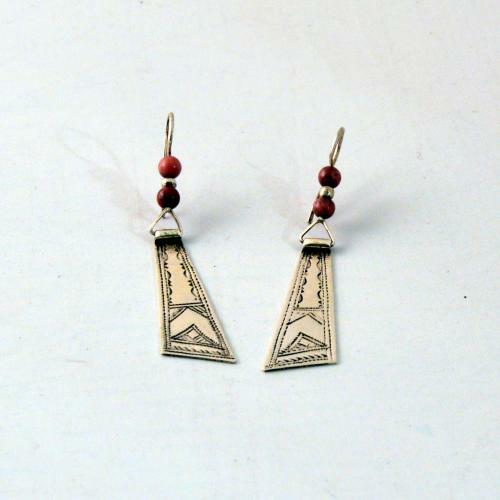 The two lines around the trailer on the silver earrings represent the trail of the caravan route in the desert sand. At the bottom, above the tracks of the caravans, snake traces can be seen in the desert sand. The hatched area is a dune blown by the wind. The silver of these earrings is 98% pure. The pearls are agates.